To meet the precise demands of our clients, we offer a wide assortment of Laboratory Products. Sourced from the reliable vendors these Laboratory Products are made following international industry standards. Entire range of our Laboratory Products is widely acclaimed for their premium quality, precision engineering and optimum performance. Our product range includes, Analytical Instruments, BOD Incubators, Drying Ovens, Water Bath and Muffle Furnaces. 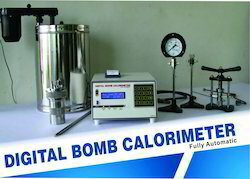 Automatic measurement and mathematical calculation of the calorific value/Water Equivalent; which eliminates the requirement of operator to be continuously present to note the maximum temperature rise & to do the calculations manually. Weight of tablet settable through keypad by user. Automatic calculation for Sample Test or Water Equivalent Test from maximum temperature rise value. Full test report printout with date and time & company name. Temperature scanning resolution of 0.01 degree Celsius. We are one of the well-reputed manufacturing, exporting, and supplying units of Analytical Balances based in India. Designed to precision, the Analytical Balances available with us offer the highest metrological performance along with advanced integrated features. The bright vacuum fluorescent display, generously sized weighing pan, and easy-operation draft shield, makes these Analytical Balances different from others available in the markets. Our Analytical Balances are specially made as per the set industrial norms. 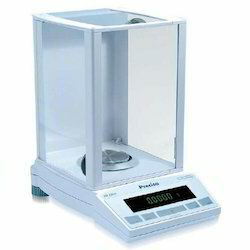 The clients can obtain these qualitative Analytical Balances at most competitive prices in the markets. 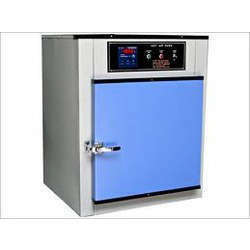 Hot air ovens are electrical devices used in sterilization. The oven uses dry heat to sterilize articles. 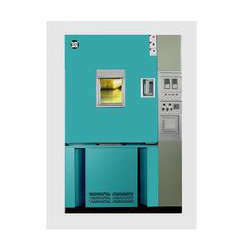 Generally, they can be operated from 50 to 300 °C (122 to 572 °F) . There is a thermostat controlling the temperature. These are digitally controlled to maintain the temperature. Their double walled insulation keeps the heat in and conserves energy, the inner layer being a poor conductor and outer layer being metallic. There is also an air filled space in between to aid insulation. An air circulating fan helps in uniform distribution of the heat. These are fitted with the adjustable wire mesh plated trays or aluminium trays and may have an on/off rocker switch, as well as indicators and controls for temperature and holding time. The capacities of these ovens vary. Power supply needs vary from country to country, depending on the voltage and frequency (hertz) used. Temperature sensitive tapes or other devices like those using bacterial spores can be used to work as controls, to test for the efficacy of the device in every cycle. This product is applicable for the testing of the spaceflight and aviation products, materials, electronic products, and electronic and electrical components and parts in humid and heat environment. The cooler adopts original French Tecumseh fully-closed compressor. New designing fixed volume Micropipette ,superior performance ,smooth human science ,Perfect safety , can make your work be enjoyment . The centrally mounted, large pipetting button allows uniform smooth movement of the piston. The slim shaft allows pipetting into narrow vessels,without removing the tip ejector. Pipette tips and broadest compatibility with tips from most other Manufacturers. 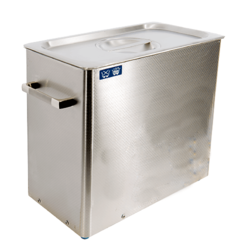 Our organization provides a wide range of Ultrasonic Bath to the clients at industry leading prices. These products are widely used for mixing, cleaning and degassing applications in various laboratories, medical, printing, pharmaceutical, electroplating and other allied industries. Using exceptional basic components along with modernized tools and techniques, these are developed underneath the supervision of skilled personnel. The range can be availed at reasonable prices.